There’s nothing like the comfort of your own home. The comfy feel of underwear instead of annoying … clothes. The absence of … other people in the same room. 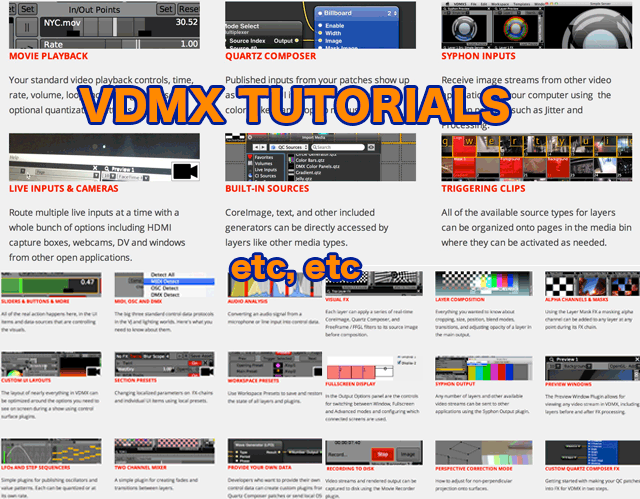 Vidvox’s own David Lublin will be presenting a workshop for video artists ready to get deep into VDMX. You can hear from this core developer, and then ask questions, too. It’s not only a nice opportunity to hone your visual performance tools for AU$25, it’s a nice idea for training in general. With the visual community as scattered as it is around the globe, if this works well, I hope it gets repeated. We can’t all fly to be with one another, unfortunately. This is surely the next best thing. Scheduled at Noon USA Eastern (NYC) time on March 1, it works out reasonably well for much of the planet. Let us know if you go for it.